AFTER the passing of Senior Sergeant Troy Salton earlier this year, the Lowood Police Station has officially welcomed a new officer in charge who is determined to carry on the legacy of his dear friend. Senior Sergeant Bruce Peel was appointed to the position on October 13 after taking temporary charge from February, immediately following Snr Sgt Salton's death, until July of this year. He is no stranger to the area, with strong family roots in the region and having spent many years policing the area. A bricklayer by trade, Snr Sgt Peel did not have any ambitions of becoming a police officer growing up. Instead it was a good friend who convinced him to join in 1986 while he was in his mid-20s and he has loved every one of his 32 years in the Queensland Police Service. After serving his first 12 months policing in Noosa, he was posted in Brisbane for a few years where he walked the beat in the Queen Street Mall alongside former policeman now Lockyer MP Jim McDonald. 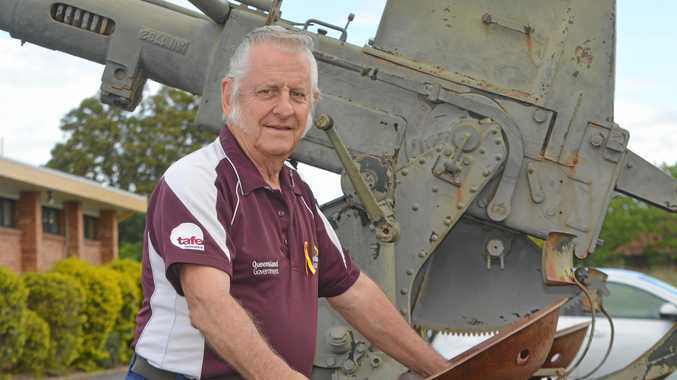 It was Mr McDonald who suggested he look for pastures anew in the Lockyer Valley and Snr Sgt Peel then spent almost a decade at Laidley and another nine years in the stock squad before moving to Ipswich. "Country policing is my game," Snr Sgt Peel said. "I have big shoes to fill with the tragic passing of a very good friend and colleague, who still remains very highly respected in this community. "Troy has left an incredible legacy and is very much missed by the officers and staff at Lowood station and we are determined to carry on his good work." Snr Sgt Peel wanted police and locals to work together. "The police are only as good as the community... I really encourage the community to work with us to make this a great place to live, work and visit," he said. "Be proud of your street and make it a nice place for your kids to grow up." "I think pride is the right word... where people have pride in themselves, in their streets and neighbourhoods and ultimately the whole area. "I really encourage people, if they know of anything untoward happening in their street and elsewhere, to come and talk any day to the local police or ring Crime Stoppers anonymously." 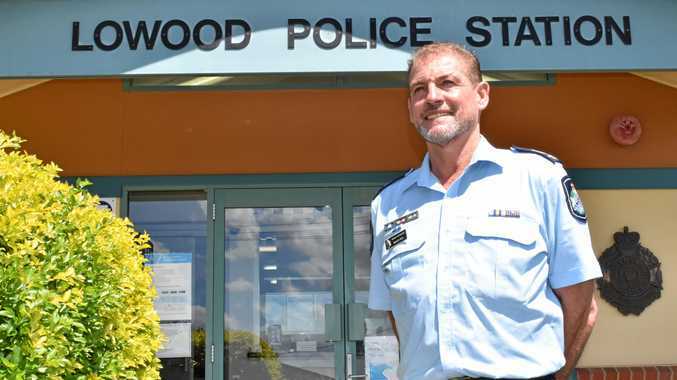 The Lowood station now has 18 police officers on their books, plus an administrative officer. "I feel my role here is just binding this dedicated team together and continuing to inspire confidence in the direction we are heading," Snr Sgt Peel said. "The community certainly appears to be very accepting." His wife Karen and two of his uncles taught at schools in the area for many years and his wife's great uncle was a founding student of the Lake Clarendon State School. "Karen's uncle's surname was Bandidt, which is a little comical considering my current occupation," Snr Sgt Peel laughed.